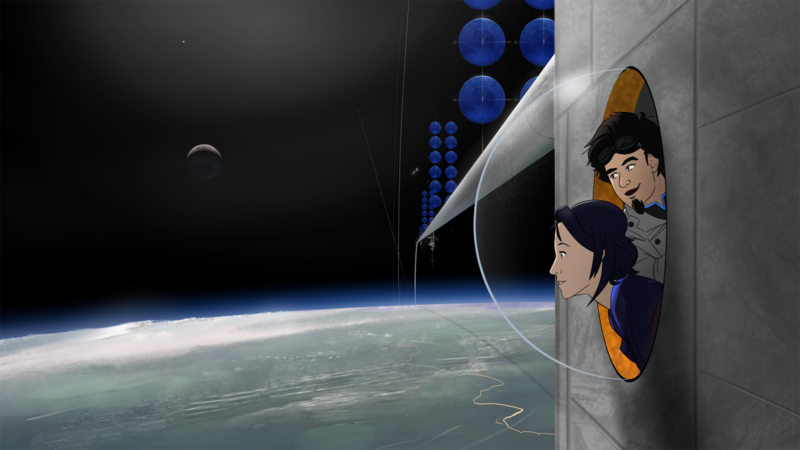 This is part of a visual development project I’m working on, and in this episode the main characters find themselves on a version of Earth with artificial rings. The low orbit ring is suspended by a maglev system moving at slightly above orbital velocity, so stations and elevators can remain stationary relative to the surface. This particular vantage point is above the Amazon river basin looking east. This artwork is copyright © Jett. All rights reserved.